Basingstoke Town Chaplaincy Open Day is on Saturday 9 February 2019, from 9am to 5pm. 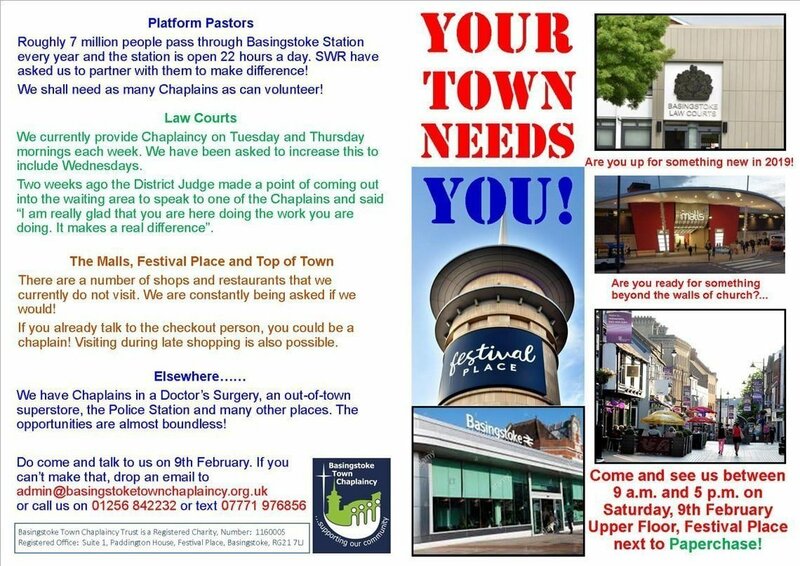 Basingstoke Town Chaplaincy Open Day takes place in Festival Place, on the Upper Level adjacent to Paperchase. We have seen God at work among the people of of our town and he continually opens doors to new opportunities! If you would you like to hear more and find out how you and members of your congregations could join in or if you think God might be calling you into this ministry of listening to people, we would love to explore that with you.